Welcome Home to Hillsdale Square! What a terrific location in San Mateo! Hillsdale Square puts you right in the heart of things on the Peninsula. You'll enjoy easy access to Highways 92, 280 and 101. You are a short walk from the Bay Meadows Cal Train Station and the quaint old downtown of 25th Avenue. The Hillsdale Shopping Center is practically around the corner. Nearby are restaurants of all types as well as several major parks. Enjoy the spacious one and two bedroom homes. Appreciate the privacy of a controlled access building and covered parking. Relax in the landscaped courtyards or the heated pool after your work out in the fitness center. Know that you have an on-site management team there to assist you. Hillsdale Square is located on a quiet street in a lovely residential neighborhood, yet anything you could want is nearby. 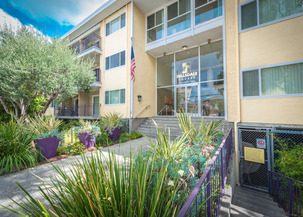 Live in the heart of San Mateo - at Hillsdale Square.